What we all first need to do is find meaning in what we like to do, what our destiny is, realize what your personality type is. Are you the artistic or creative type, as when you’re in career transition, you’ll be faced with different challenges when seeking a career or pursuing any type of endeavor. There are questions that you need to ask yourself, then apply them towards your aptitude. Reflecting on them should give you the perspective you need on your strengths, which should then determine your career path a lot clearer. What you need to do is retrospect, why exactly are you in the current career that you’re in. Is it everything that you’ve ever wanted and hoped for. If it isn’t, what would you prefer to do. What’s recommenced is that you face the anxiety on what you want in life. You need to honestly ask yourself what you would be doing if you really mattered. You need to first realize that you do matter, as often, we forget. We forget that our feelings, thoughts, and the actions we take does make a difference to ourselves along with others. So does your work matter to you. If you think that it doesn’t, then what you need to do is have a head to heart chat with yourself. It’s up to you to make the changes. Once you hang on to your anger, grudges, and frustrations regarding the past, doing so can prevent you from moving your life forward. Maybe you didn’t get that promotion, or get that job because someone else was more qualified or had an inside edge. You need to just let it go as it’s part of the process. You may need to forgive yourself first, as the interview you just had wasn’t your best, or you had grammar mistakes in your cover letter, etc. Just forget about them. Don’t dwell on them, fix the mistakes, forgive yourself and then just move on. Realize how your lack of forgiveness has held you back in the past. This especially when you’re pursuing that perfect dream job. Know the exact realities that you need to surrender to, what you need to accept and stop fighting them. That perfect “dream” job or career that you fantasize might need to be tempered by reality. You might want to own your own business by the beach, but you have no clue where to begin. Are you able to make the changes that’s necessary to live that dream. If so, then begin, but if you’re not able to, it becomes important to acknowledge that you can’t, and then move forward from there. What’s behind that dream of owning the business by the beach. Is it the flexibility, freedom, being your own boss. Measure the gap which exists between your dream and where you are right now. See how far apart they are, be realistic about it. What internal battles are you currently having with yourself, that’s preventing you from furthering or beginning your new career. Are you easily distracted by watching TV or surfing the Internet, or focused on the drama that is your life or the life of someone else. There are a variety of ways on how you can procrastinate, which prevents you from facing and chasing your vision. So you need to get control of your life, as that’s one area that you can dictate. 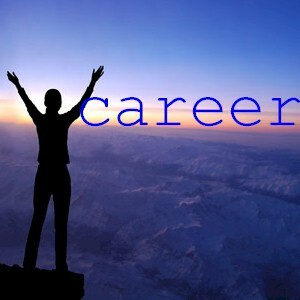 Is your current career your own choice or did someone else pick it for you. Was it your decision to become a lawyer because it’s the family business, or were you influenced, pressured by someone. So reflect back, this especially if you’re not happy with the current career that you’re in. Or maybe it’s a case of you not doing enough for yourself, or being assertive enough. You might be a writer because you love to write, but you write what others want you to, and not what you want to. This especially for the artistic and creative types, as you can easily and unintentionally isolate yourself. This since the creative process usually involves working alone. The same can occur when you’re searching for a job, as you’re forced to do so on your own, and there can be a lot of rejection. The tendency is to just take all the knocks and dejection yourself. But what you need to do is connect so you can find new opportunities. Find ways on how you can get the proper guidance and assistance from others, which includes getting potential job leads. So rely on your network of friends, family, and loved ones for getting the support you need during the job search process, as it becomes extremely important. Have you set your goals so high that you can’t reach them, which becomes discouraging, this even before you begin. Are your standards so high that you can’t realize or enjoy the small successes. Big dreams and visions are great, but if they’re too exorbitant, then your level of success might be out of reach. The stress and the anxiety that you place on yourself might even keep you from trying. So decide how you define what’s acceptable success to you. For today or this week, a success might be just finishing that resume and cover letter, or identifying a few potential employers. Accomplishing these should be considered a success.